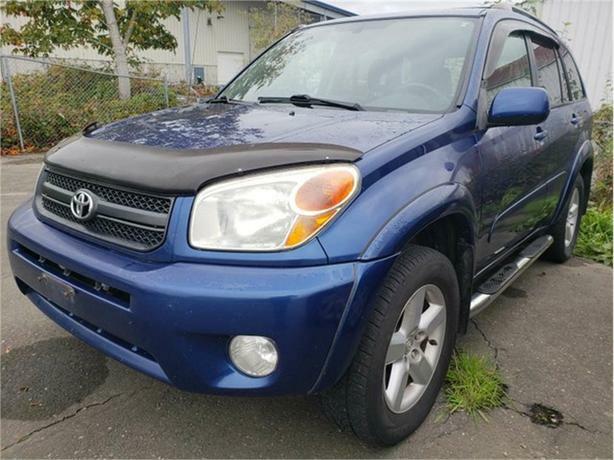 The 2005 Toyota Rav4 was Toyota's smallest crossover sport-utility vehicle. Its stylish exterior is complemented by a roomy and functional interior that includes a back seat that can move fore and aft to maximize either passenger room or cargo space. SUV's like this one never hang around for long, the shorty wheel base allows you to explore up and down our mountain roads to explore where not many trucks can take you. Call one of our experienced sales consultants and set up your no obligation test drive today, 250-287-7272.